As of yesterday (7/20), thru 7/23/2018, save 10% off select Jet woodworking tools at participating dealers. Shipping and delivery looks to be free on most items. As I mentioned more than a year ago, I have been having a hard time making a dust collector purchasing decision. So, after doing a bit of research and debating, I went with a Jet DC-1100VX-CK, placing my order with Acme Tools last night. I figured that this dust collector, which has decent reviews, will be an improvement over my Festool dust extractor when paired with tools that need more airflow, such as my router table. Promos like this one come around a couple of times a year, and the 10% savings proved to be enough to settle my dust collector indecision. It’s almost not worth posting about, but maybe there’s a Jet tool or tools that you have been looking at. Maybe, like me, the 10% savings will push you off the fence. Hmm… now that I have a dust collector on the way, maybe I could/should look at a floor-standing jointer? Nah. Maybe after I buy a cabinet saw and then wait for the next savings event some time after that. P.S. 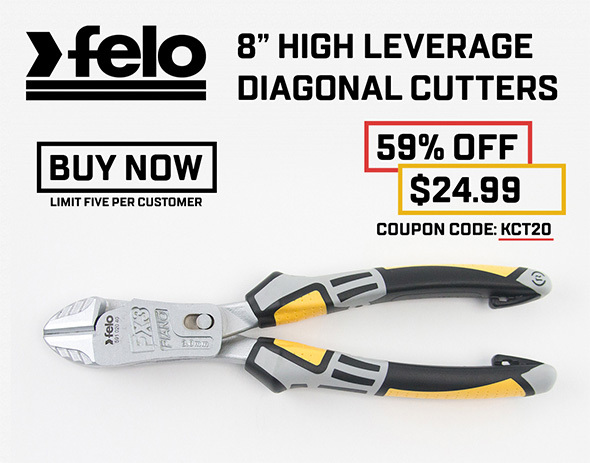 If you recall, there was a 15% Jet promo last Black Friday at Acme Tools, and so deals do get a little better than 10%, if you’re prepared to wait 4 months. There’s no guarantee we’ll see a 15% discount this year, but the 10% promos are consistently periodic. Dust Collector Purchasing Decision Woes New Dewalt Cordless Woodworking Tools: Router, Sander, Jigsaws What New Tools Did You Buy During Black Friday and Cyber Monday 2017 Sales? « Dear Bosch: Thanks for the 12V Brushless Drill/Driver! Your equipment is to freaking hi priced for the small wood shops. Can you come up with a more economical line for the small would worker? I don’t know what you mean by “your equipment.” We’re not Jet. That said, there are lots of more economical tools for small woodworkers. To start, look at Rikon or Grizzly. Economical tools often require tweaking. If you spend some time researching equipment on woodworking forums, you should get a good sense about which tools might be suitable for your needs without requiring a huge investment of time and effort to get them to that point. Sometimes used equipment can be (but is not always) a bargain as well. But buying used adds another layer of complexity – need for pre-sale inspection when possible and often after-sale tweaking-refurbishment. Used woodworking equipment from brands like Baileigh, Delta, Oliver, Powermatic and Walker-Turner sometimes can be bought at decent prices. Some old Craftsman table saws might also be worth a look. But I’ve seen some pieces at what seems to me to be prices akin to buying a rare vintage classic automobile rather than a workshop tool. There are tons of videos and reviews on a Harbor Freight dust collector. You can start there and add some modifications or add ons as budget permits. But as it is out of the box, don’t use it in your basement, you can use it in a garage with good ventilation and wear a respirator. Be prepared to clean the space frequently. There is a reason that most woodworkers upgrade their dust collection 2-3x’s or more. Performance is one of the big factors. But pay attention to Stu’s follow up on this unit and his decision making criteria. On the lower end of the spectrum you are making compromises you should be aware of. As a metalworker, I need a dust collector that works with metal. I end up with metal flake and grinding slag all over the garage and house from welding, grinding and plasma cutting. The JDC-501 is a small fortune, and I’m not even sure if it will work with ‘hot’ metal vs metal shavings from a lathe that are only a few hundred degrees. Right now, I sweep up as much as I can then use an airgun to blow the rest out into the driveway, but my driveway looks like it is rusting; even when I sealcoat it every other year. 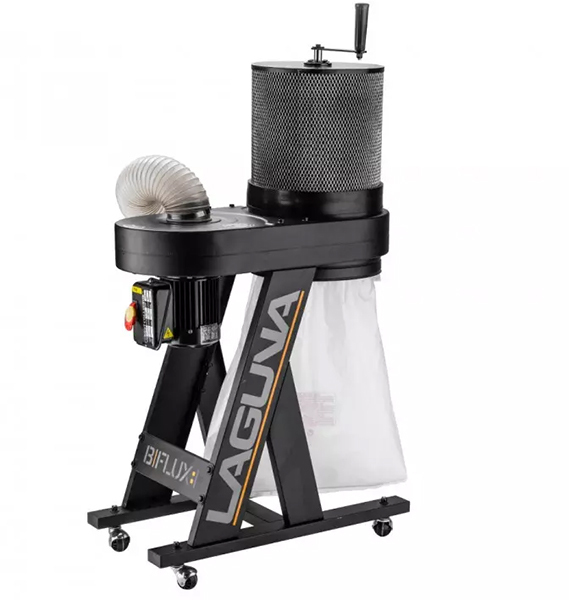 I’ve seen that metal dust collector before, and since its product description often mentions metal grinding and finishing, I always assumed that it should be fine for any metal debris created by similar tool operations. I’d assume that Jet, or perhaps a metal fabrication tool supplier, could answer specific questions about it. There might be other models, but generally that Jet is the one I come across in catalogs and elsewhere. I’ve found more positive user impressions than negative ones, and am crossing my fingers that it’s worth the trouble. I had my eyes on the Oneida mini Gorilla, but it would require an outlet swap at the least, maybe a new circuit at most, and I don’t want to do that at the moment. Plus, the Jet I ordered seems like it’ll be a little more versatile for my needs. Stepping up beyond that takes me to a complicated decision-making loop. I started writing about it in the post, but figured I’d save it for the dust collector post. Right now, a Festool dust extractor is handling my dust collection needs fairly well. There are some areas I need improvement with. I can’t add an router table motor box without a 4″ collection hose, because it needs the higher airflow to cool the motor. I have a 220V outlet and several 110V circuits. I’m seriously thinking of getting a Sawstop cabinet saw, and would get that for the 220V outlet. I don’t know if I can fit a large dust collector, or if I even need a higher horsepower one. The new dust collector, assuming it works out, has a smallish footprint, and would allow me to add a 220V tool, such as a table saw. Or, maybe I’ll put the money and footprint into a CNC machine. I don’t know, I’ll have to thinking about what I’d use most. The Jet dust collector will support either choice, and my current equipment. I don’t want to do permanent ducting yet, and would connect the DC to the tools one at a time. So going with this dust collector should be environmentally compatible with my next few potential upgrades. If/when I need and can accommodate a larger dust collector, I’ll add another 220V outlet, and move this Jet to the basement, where its height should work well with my short ceiling. I keep getting into circular thoughts, never buying anything because I couldn’t accommodate the perfect collector for my future needs and wants. So, I finally convinced myself to think about my more immediate needs and wants, and also came up with the contingency plan where it’ll still see use in the basement if I do decide to upgrade in the next couple of years. I’ve read of issues with Jet and Powermatic quality, as well as other brands at all price points, but I finally just had to make a decision. Plus, it might make for a good review or story. As RKA suggests – working on your ultimate shop setup is probably a journey rather than a destination. I started with a big shop vac sporting a 55 gallon drum on a dolly, went to a single bag collector in the corner of the shop – adding ductwork to connect it – then to a multi-stage unit outside the shop in an enclosure behind the house. I started this journey nearly 50 years ago – and today there are lots of different choices – so who knows what I’d do if starting over again. Good luck – and have fun. I went back and forth between the jet and mini gorilla for my garage and went with the mini. Had issues out of the box but the company took care of it after some quick back and forth. It does well now but taking the motor on and off repeatedly damaged the plastic cyclone. Doing it again I would probably go with the jet at a 15% deal. Btw, I also have the jet 6in jointer, air filtration system and scroll saw and have been very happy with the quality. No issues. Are you acme? Is toolguyd acme? If ToolGuyd was Acme, why would I link to 3 other retailers?